A 32-acre fun park dedicated to all things cheese. Up until a few decades ago, many people in Korea had never heard of cheese, let alone tasted it or made it. 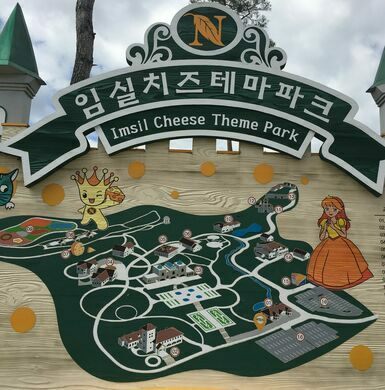 Now a 32-acre cheese-themed fun park in the small county of Imsil is an expression of the country’s love affair with the food. The introduction of cheese to the Korean diet is traced back to 1958, when a Belgian priest came to Imsil in the Jeollabuk-do region as a missionary, where he raised goats and started to make his own cheese. The governor of Imsil asked him to teach the skill to the whole community. 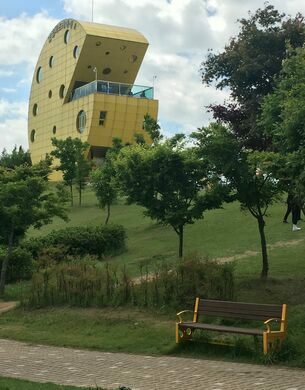 And so Imsil became the mecca of cheese in Korea. 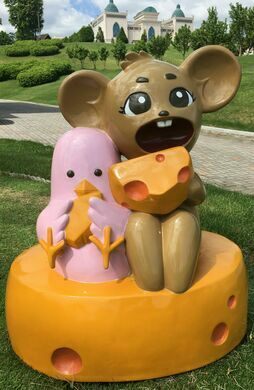 The Imsil Cheese Theme Park, opened in 2004, is a cheese heaven where you can learn about, make, and eat the delightful dairy, ride down the slide past the goats to the Cheese Playland, and stroll the walkways checking out the cheese-wheel buildings and various cartoon statues that dot the park. The park has a few “cheese experience” centers where you can make cheese, a milk processing factory, a local specialty shop, two restaurants, and a science lab that researches different methods for making the best cheese. 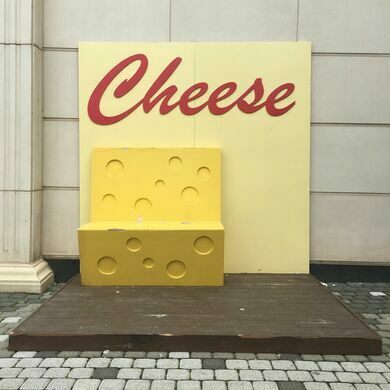 The Cheese Theme Park is open Tuesday to Sunday, 10 a.m. to 8 p.m., closed on major holidays. Over 80,000 carved wood blocks make up one of the world's oldest intact Buddhist canons.